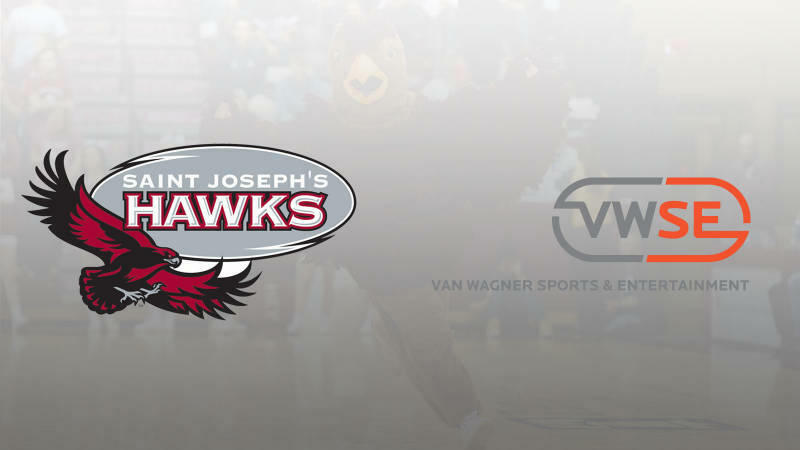 PHILADELPHIA - Saint Joseph's University Athletics and Van Wagner Sports & Entertainment (VWSE) today announced that SJU has selected the company’s Collegiate Services Division to manage the department’s multimedia and corporate sponsorships rights. Beginning with the 2015-16 athletic season, the VWSE Collegiate Services team will oversee the locally based operation – “Saint Joseph’s Athletics Sponsorships” – and will be dedicated to the sales and management of the corporate sponsorship program including multimedia resources, the Hawks’ local broadcast and digital assets, athletic venue signage, on-site marketing and promotions, promotional rights to school athletic marks, access to tickets and hospitality opportunities. Saint Joseph’s sponsors 20 varsity athletic teams in NCAA Division I and is a member of the Atlantic 10 Conference. It has a rich history in men’s basketball with 20 NCAA Tournament appearances and three Atlantic 10 titles, including its perfect regular season in 2003-04 that included a run to the NCAA Elite Eight. Saint Joseph’s Athletics joins Florida International University, Georgia State University and Siena College as institutions signed over the past year to work in partnership with VWSE Collegiate Services.